Our cells are equipped with fixed and pre-foamed corner connections, without corner lines. We use as little seams as possible. 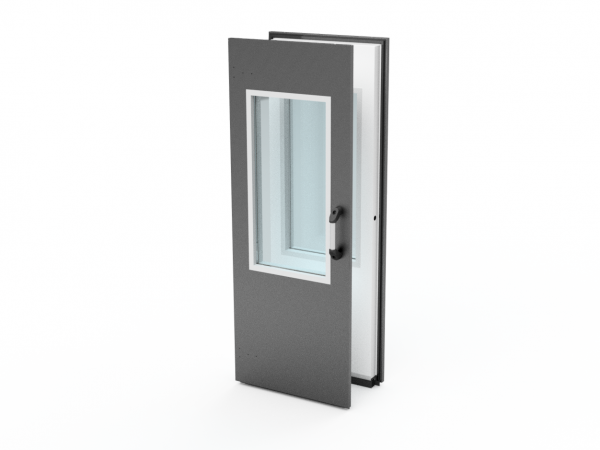 This guarantees excellent insulation and therefore high energy efficiency. 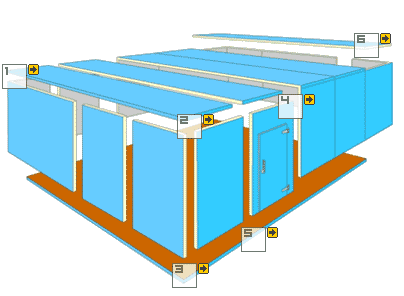 The POLYSYSTEMS unit walls stand on the unit floor and the ceiling rests on the walls. This makes the unit extremely stable and ideally insulated. The POLYSYSTEMS panels and partitions come with pin-hook connections. 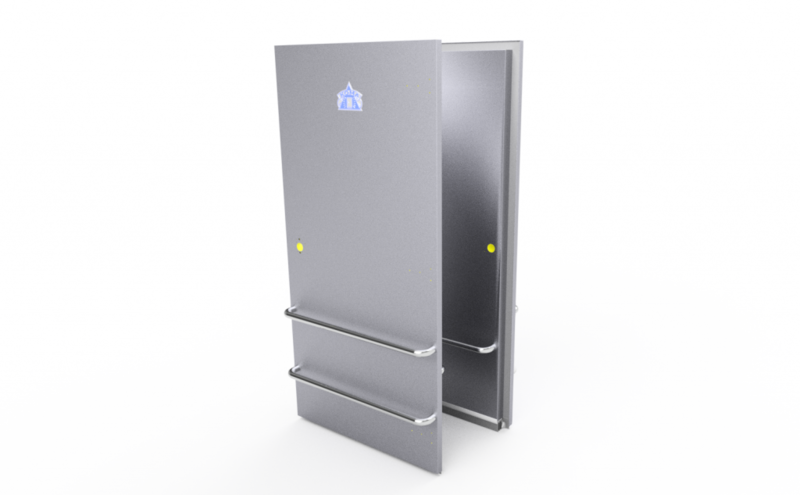 This means a quick and efficient assembly without having to cut anything and without rubbish at your location. POLYSYSTEMS insulation systems are custom made and supplied in different sizes from small to very big. We can also supply any unusual shapes and sizes, which will fit seamlessly in any space. 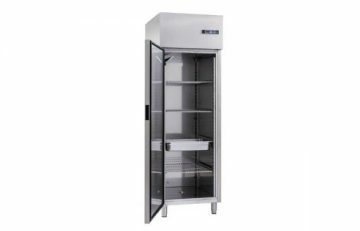 Not only do we have our standard shapes and sizes, but we also offer bespoke units. For example with angled corners and roofs. Our units can be used indoors and outdoors. 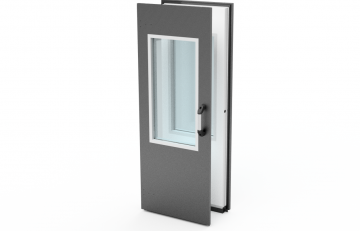 Our cells are equipped with fixed and pre-foamed corner connections, without corner lines, giving as little seams as possible. 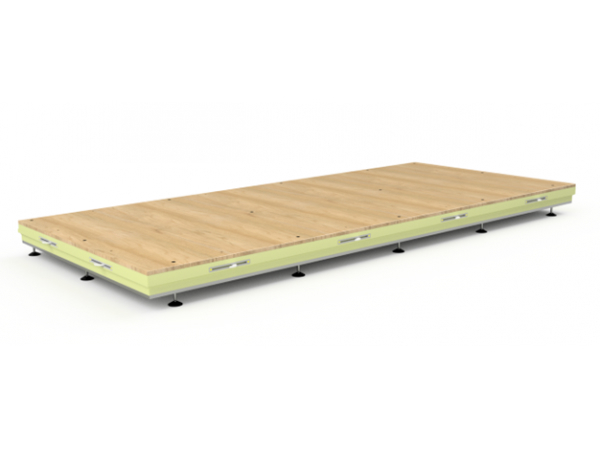 The 100% foam density of the polyurethane sandwich-panels are in 3 thickness: 80, 120 and 160 mm. This guarantees excellent insulation. POLYSYSTEM units are also easy to take apart, so you can endlessly expand and remove them, using only our special spanner. 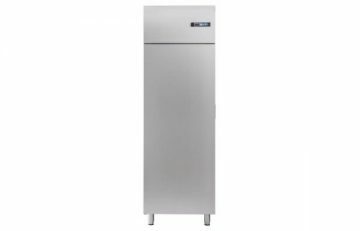 Shop POLYSYSTEMS insulation systems, coolers and freezers are custom made and supplied in different sizes from small to very big. We can also supply any unusual shapes and sizes, which will fit seamlessly in any space. 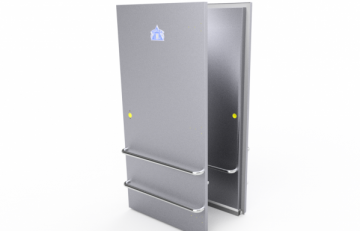 The POLYSYSTEMS panels and partitions come with pin-hook connections. 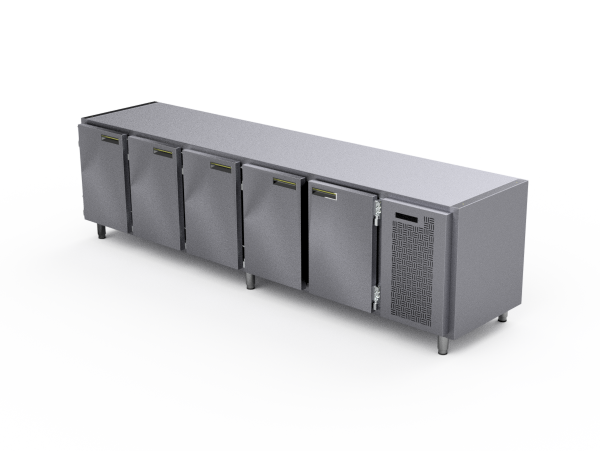 Our units are also easy to take apart, so you can endlessly expand and remove them. 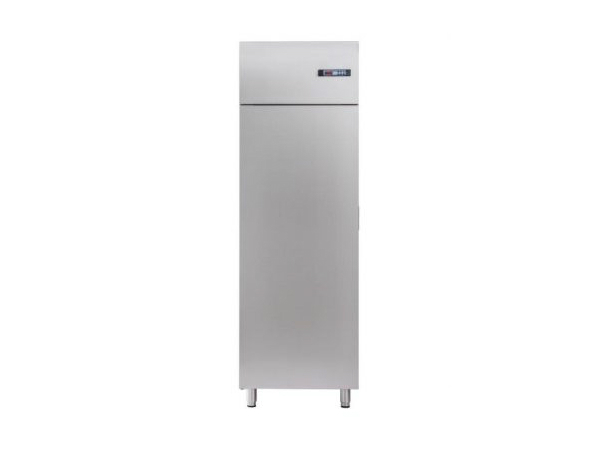 The refrigerated counters of Polysystems are extremely robust and can withstand a beating. They are available in 2-, 3-, 4- and 5-door version. 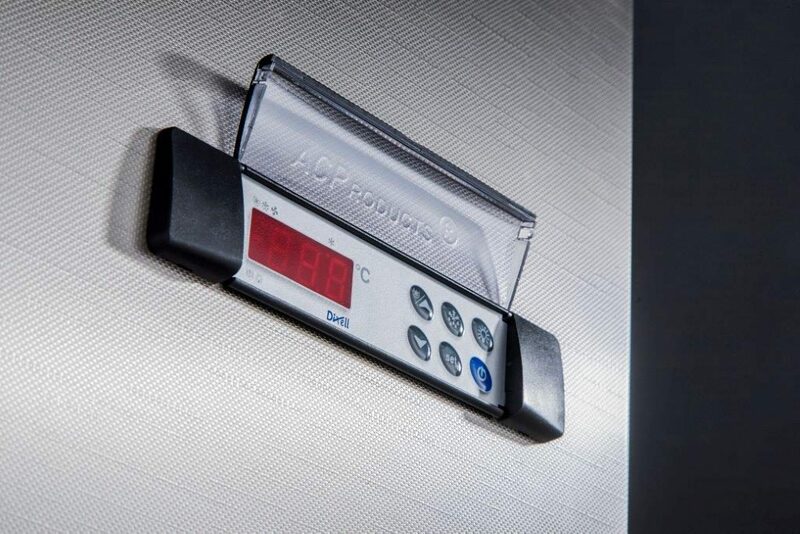 The advantage of cooling and freezing with Polysystems is they can be custom made. We use materials from AC products. 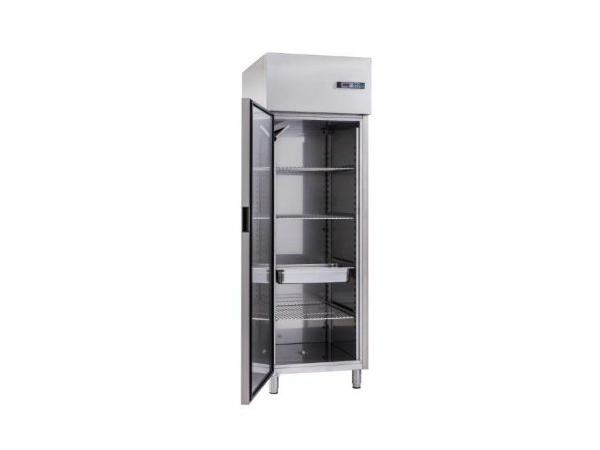 In fridges as well in refrigerated counters. If you would like a quotation, you can download the proposal form and send it by email. 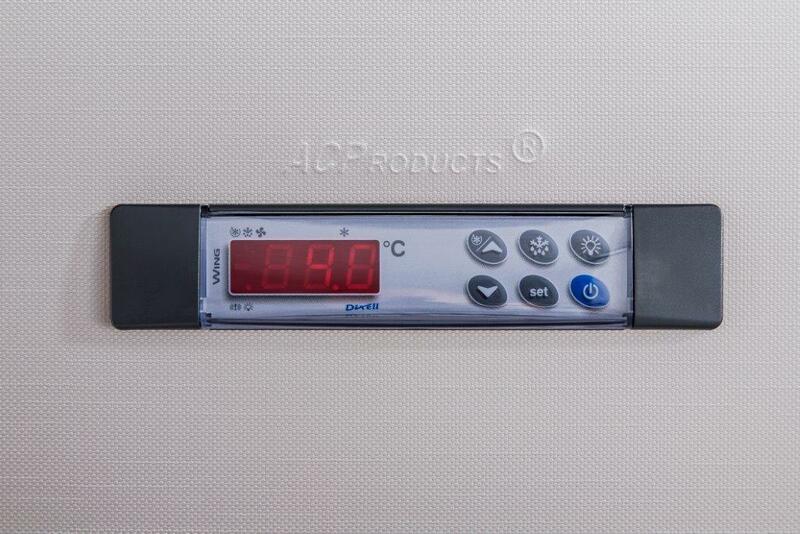 Each cooling unit is of course provided with an excellent thermostat of AC products. With this thermostat you can ….. 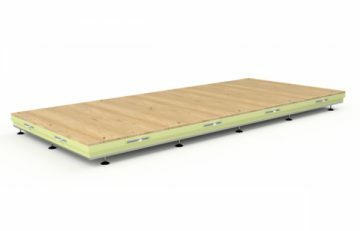 Choice of Flooring Panels The unit floors are made extremely strong so they can last a long time, even when storing heavy products or using heavy transport machinery. There is a choice of flooring panels: finished off with a 1 mm galvanised steel plate, or panels with multiplex or hexa in several sizes of thickness.